BBRRRR!!! The wind chill has been pretty chilly this weekend. 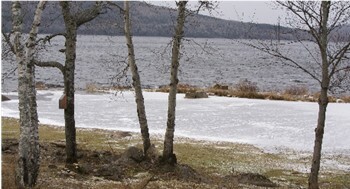 Even though the sun is out right now, as you can see from this snapshot from our webcam, the lake has begun to ice over. I hope everyone got out to vote today. 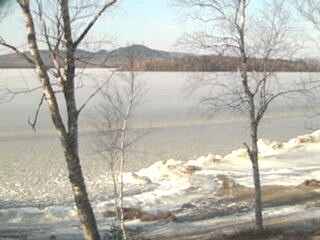 I hope everyone is taking advantage of our webcam overlooking Big Wood Lake because today was an incredibly beautiful day. Started out a little cool but by noonish, the sun was out and it really warmed up. I did forget to look at the thermometer but it was warm with a touch of cool air.